My present mattress weighs a ton and I gave up turning it over some years ago because of this and also lack of space. I am considering a king sized version of the Origin Pocket 1500. I mentioned the possibility of a zip and link to my partner as they would each weigh half as much, but she was horrified, so I guess that option is out!! Can you tell me how much it weighs please? Are your foam mattresses any lighter? Also I don’t understand how it is nominally 9″ deep, but 13″ if the padding is taken into account. If I took a ruler to it what depth would it actually measure? Our Origins Pocket 1500 kingsize mattress weighs about 49kg. This is an approximate guide and sometimes there are variances and we cannot guarantee an exact weight for the mattress and this is really just a guide. The mattress is traditional pocket sprung and hand tufted. 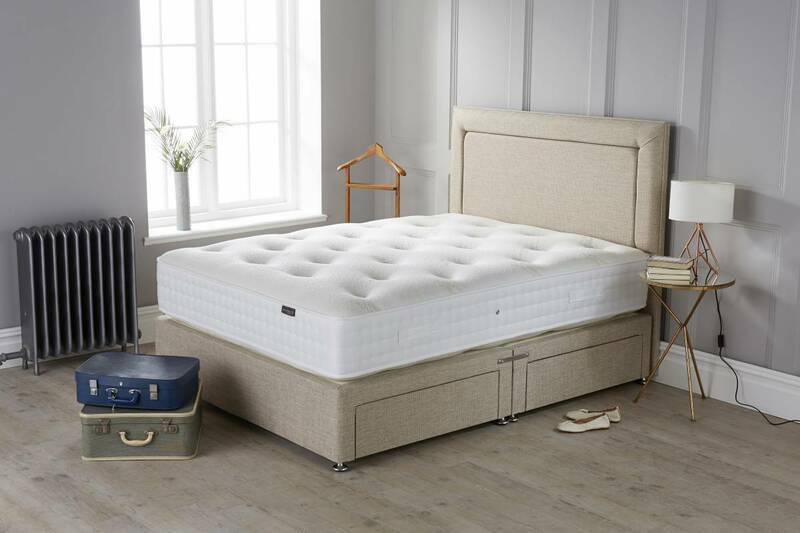 Even though the mattress side panels are 9″ deep, the undulations caused by the abundant upholstery brings the mattress depth to a more realistic 13″. I hope this assists but please do not hesitate to contact our office for further information and advice on 0161 437 4419.